Wow, you just made my day! Yay! Thank you so much, Dreena! Thanks also for sharing your find with us: I've been on a truffles kick lately, and these ones sound scrumptious! 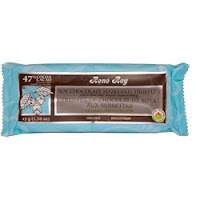 Those René Rey bars are pretty good, but they are not my favorite. For the price though, they're great. They also have other vegan bars.